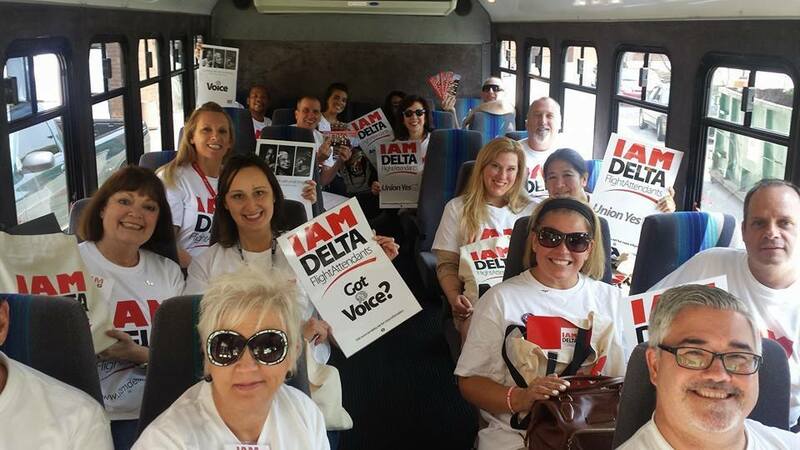 The IAM Delta campaign stormed Atlanta this week, holding strategy meetings and conducting visibility events at Hartsfield-Jackson International Airport. The first "Justice Bus" departs for the airport. Dozens of IAM Delta activists and IAM representatives, including Flight Attendants on the staff off the IAM's Strategic Resources and Education Department, met this week in Atlanta, GA for a series of strategy meetings and a visibility event at Hartsfield-Jackson International Airport. Dozens of activists hand-billed at the airport after the meetings, covering every door at the terminal and down in the crew lounges. They were very well received by Delta Flight Attendants who signed election authorization cards and asked how they could help the campaign. ⇐ Health insurance affects everyone’s quality of life.